Management and Engineering Services shares experiences and learns from the successes and challenges of other organizations. We maintain memberships in associations and have earned various awards throughout the years. We understand the importance of being current on all valuable certifications. Since 2001 … Management and Engineering Services has supported the Colorado Department of Public Heath and Environment’s Colorado Environmental Leadership Program. We were accepted into this leadership program in 2001 at the highest (Gold) level, and maintain that level today. In 2008 we received two achievement awards for mentoring other participant companies and for assisting the General Services Administration (GSA) in Denver, Colorado to develop its environmental management system. We continue to return to the community through this program as it grows and as new members are introduced to the advantages of environmental leadership. Since 2001 … Even though our use of electricity is very small compared to many companies across the United States, since 2006 we have maintained wind Renewable Energy Certificates (RECs) to offset the electricity used in our offices. Our commitment to the use of alternative energy is recognized through the U.S. Environmental Protection Agency Green Power Partnership Program. Even as a small member, we are ranked with other major companies across the United States as 100 percent members. Since 2002 … As members of the U.S. Environmental Protection Agency WasteWise Program since 2002, we set annual waste reduction and waste diversion goals, measure results, and report our progress to this leadership program. Since 2001 … In 2010, Management and Engineering Services joined the Boulder County (Colorado) Partners For A Clean Environment, locally known as “PACE,” as part of our leadership commitment and community outreach. The PACE program is available to local businesses for improving energy efficiency, zero waste management, and water conservation. Today there are over 300 local businesses that are PACE members, with each taking the opportunity to provide assistance, share experiences, or improve individual environmental performance. Since 2011 … Following the termination of the National Environmental Performance Track Program by the U.S. Environmental Protection Agency, there were several national leadership companies that wished to continue a commitment to a similar national program. In 2010, the Stewardship Action Council came into being to drive sustainable and socially responsible business practices and results that extend beyond those attainable through normal compliance activities. As a member of this new organization, Management and Engineering Services will continue to participate at a national level in all areas of sustainable leadership and to promote positive results that can be achieved by all of us, regardless of business size or activities. 2001 (first year) — 2009 (program ended) … As an environmental leader, we joined the U.S. Environmental Protection Agency National Environmental Performance Track Program in 2001 just after it was announced. We were one of the first 50 members, and likely the smallest member company. Our participation in this national leadership program allowed us to assist over 75 other companies in joining this important national leadership program. As a member in the Performance Track Participants Association, we exchanged ideas, suggested new initiatives, and supported ongoing environmental leadership programs. In 2008, Management and Engineering Services was honored with the 2008 Outreach Award in national ceremonies held in Baltimore, Maryland. 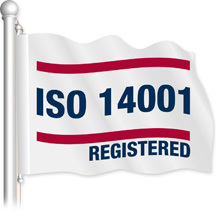 Since 2001 … Management and Engineering Services developed, implemented, and has sustained an environmental management system based on the international standard ISO 14001 since 2001. Every year we have our management system reviewed by an independent auditor and registrar to ensure conformance with this international standard. Through our environmental management system we search for new ways to reduce our impact to the local and global environment, and to ensure that we are in full compliance with all regulatory obligations and local agreements. 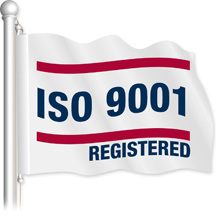 Since 2003 … Management and Engineering Services has developed and maintains a quality management system based on the international standard ISO 9001. This is especially important to us to ensure that we are providing the best possible service to all of our clients, large and small, regardless of challenges. Management and Engineering Services was honored with the 2008 Outreach Award in national ceremonies held in Baltimore, Maryland.